According to the Anxiety and Depression Association of America, major depressive disorder is the leading cause of disability in the United States for the 15 to 44 age group. Primary care physicians see this problem every day, but how is it diagnosed? How is it treated? What are the warning signs? We are about to find out. Hello. 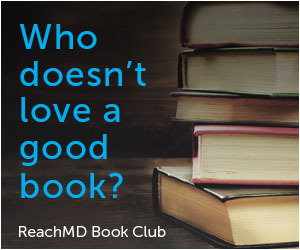 This is Dr. Prathima Setty, and I am your host for ReachMD, the channel for medical professionals. Today we have with us Dr. Gina Perez. She is the former Director of Medical Student Education for the Department of Psychiatry, and a prior Assistant Dean of Student Affairs at the University of Maryland School of Medicine. She now works with the Mid-Hudson Family Practice Residency program in New York. Dr. Perez, it's wonderful to have you here with us on the show. So can you briefly explain your role with the Mid-Hudson Family Practice Residency, and what you provide for them? Sure. I work alongside with Cynthia Kim, who is a social work therapist here, and Ephraim Back, who's the Residency Training Director. And we run a psychiatry consult clinic, and this is meant to help primary care physicians who are managing psychiatric issues for their patients. A primary care doctor within our system can refer a patient to us, like if they need help diagnostically or with treatment approaches for the patient, and then when the patient comes into our clinic, the family medicine resident who's assigned to our clinic actually completest the psychiatric interview in my presence, and also in the presence of our social work therapist, Cynthia Kim. So then after the interview is complete, along with the patient we work like as a multidisciplinary team and we find the next steps in treatment. And then we relay this back to the primary care physician, and that primary care physician then continues with the psychiatric care for the patient. That's a great way for future primary care physicians to learn about psychiatric issues. That's wonderful. So what are some of the most common diagnoses you see in your clinic, in family practice? Easily it is depression. 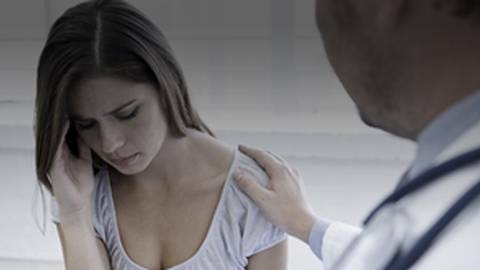 There are so many patients that come in who have subtle symptoms of depression, or even present with more somatic complaints that end up being actual symptoms of major depression. And then I would second to that, primary care docs are seeing a lot of anxiety and also a lot of substance abuse. So as far as depression, can you review what criteria you use to diagnose it? The criteria for depression are very clearly spelled out in the DSM-5, and the DSM is the Diagnostic and Statistical Manual for mental disorders. So for a major depressive episode, one of the key things to remember is that for any kind of disorder or episode, it really needs to impair the person's functioning in some way. So that's the first thing that you're going to want to assess for. Are these symptoms impairing their functioning in some way? Then the next consideration is the timeframe for this clustering of symptoms. And for major depressive episodes, the minimum criteria is two weeks. So you want to be sure that you're screening for the clustering of symptoms within this two-week period. The symptoms for major depression are having a depressed mood nearly every day. Also having anhedonia, which is a decreased ability to enjoy things that you normally enjoy. Additionally, you can have other symptoms including changes in your appetite, weight loss, difficulty with sleep, psychomotor agitation or psychomotor retardation. That's really going to be observed by other people and it's going to be, or psychomotor agitation really a restlessness or revved up kind of presentation, or like a motor retardation, being noticeably slowed down. Additional symptoms are, is a person experiencing a loss of energy or feeling fatigued, and is the patient having excessive guilt that's not warranted or feelings of worthlessness. Another symptom, is a person having difficulty with concentrating or thinking like they normally do. Lastly and really importantly, is the person having thoughts about death or thoughts about suicide. Those are all of the main symptoms of major depression, and it's critical, you need to have definitely a depressed mood, and additionally a loss of interest, that anhedonia. So those two are needed, and you need to have five out of nine symptoms total. So either having a depressed mood or anhedonia, and then having a total of five out of nine of the symptoms that we just talked about. So what are some of the teaching pearls that you give the residents when they have a patient with depression? There are a lot of different teaching pearls when you think about a patient with depression. I would say that the main thing is, you need to have a way to track the symptoms, because it's hard for patients, it's hard for physicians to remember exactly how good or bad things were at a particular time, and which symptoms were present. Here we use something called the PHQ-9. It's a self-administered screening tool for depression. There are different levels of severity that can be tracked based on your scores for it. And so a lot of times I'll encourage the residents to go ahead and give the patient a copy of this before they meet with the patient, and then they can come in and talk about pertinent symptoms that the patient might be having. So can you comment on some of those red flag symptoms of depression, those symptoms that primary care physicians should watch out for and perhaps refer to Psychiatry? When a patient comes to your office with symptoms of depression, there are four things that you absolutely must pay attention to. And those four things are suicidal thinking, is there a concurrent problem with substance abuse, it's critical to screen to see if the patient has had past episodes of mania, and screening if the patient is having current or even past symptoms of psychosis. If there are any of these red flags present, then this really means that the patient's depression is a lot more complicated and serious, and you sort of have to just slow down and make sure that you're taking the safest treatment approach and really clarifying the diagnosis, if we're thinking about the initial red flag of suicide. The hardest part about screening for suicide, quite frankly, is just asking the question. And I think in primary care and any sort of specialty outside of Psychiatry, it can feel really intimidating just to ask about suicide. So here are a couple of ways that I ask about it. One thing I try and do is I try to normalize the experience of suicidal thoughts. So one way to do that is I may say, "Sometimes when people are feeing as stressed as you've been feeling, they can have thoughts about wanting to kill themselves. Has this ever happened to you?" A key thing when you're asking about suicide is to slow down, put your pen down or stop typing, make eye contact, and really show the patient that you want to hear if they're having suicidal thoughts, and you're ready to hear it. It's a very important interview. He's to remember, pay attention to your body language when you're asking these questions. Another approach, or another way that I might ask about suicide, just be simply, "Have you had any thoughts about wishing that you were dead, or have you had any thoughts about wanting to kill yourself?" One pearl that I always teach the residents, again, is paying attention to your body language. Any of us, residents or attendings can sort of shake your head no when you're asking questions. It's very important to remember that you're fully attentive to the patient, you're not shaking your head no, you're letting them know that you're ready to hear if they're struggling with some suicidal thoughts. And so let's say that the patient is having some suicidal thoughts. It's important to understand how intense they are, are they happening right now, how frequent have the suicidal thoughts been, does the person have an intent to act on them, and do they have a plan to hurt themselves? And so all of those questions definitely help point you in which direction the patient needs for treatment. If you need to refer the person to the emergency room, it's so helpful if in your office you can establish a social work therapist or a psychiatrist if you have one available, to help you evaluate more thoroughly if you have a patient with suicidal thoughts. It can be very hard in the time constraints with family practice or any other specialty to thoroughly assess for suicide. And you mentioned when you refer to the ER, can you talk a little bit more about when exactly you would send someone immediately to the ER if they say that they had suicidal thoughts? The time that you would want to send somebody to the ER would be if you're concerned that they are going to hurt themselves now, or if they're having thoughts about hurting somebody else, or if their thoughts are so disorganized in a psychotic sense that they're really not able to function or even express themselves clearly and you're worried about safety. The safety is your biggest factor to consider when you're referring somebody to the ER. If you are concerned that this person may hurt themself, it's going to warrant an ER evaluation just for safety. It also depends on how much support you have in your office. A lot of times we've had patients come through our offices who have struggled with severe depression and may have suicidal thoughts right when they're talking with the family practice doc. So that would be a time when I would be pulled out, or a therapist would be pulled out to really do a thorough suicide screening. It can be tricky to try and understand when somebody needs to go to the ER, but safety is your biggest guide. So if you're worried about that person's safety, at this time you feel like they may be a danger to themselves, then I would definitely consider an ER visit. What about this second red flag you mentioned, substance abuse. Can you talk a little bit about how that relates to depression and how that's a red flag? Unless you specifically screen for substance abuse, a lot of times patients aren't going to know to bring it up to you, or they may not feel comfortable bringing it up to you. And substance abuse can have such a huge impact on a patient's symptoms. Let's say somebody's abusing alcohol. With alcohol use there can be so many symptoms that mimic a depression, and if you're unaware that they're using alcohol on a regular basis, then you might be missing the boat when you're trying to figure out a diagnosis. There are also, you know, other street drugs that can create some symptoms that look like depression. There are drugs like cocaine that with use can actually deplete some of the neurotransmitters in your brain and create serious mood problems as well. If there are substance abuse issues on board, you're dealing with a much more complicated clinical picture, and it would be useful to get that person into substance abuse treatment. It's going to make you stop and think about, do I need to be prescribing a medication if it's really that the person's struggling with substance abuse. And if we get that under control, then we can really assess their mood. And I feel like that becomes very complicated and really hard to manage in a primary care setting, and so if you have it available, it really might be the best time to refer that person to mental health treatment and to see a psychiatrist for just a more thorough assessment. And it's so common to have an overlap of substance use disorders with _____ (11:22) depression or with any other psychiatric problem that people might be having. Yes. That's very true, substance abuse and psychiatric issues often go hand in hand there. And what about past episodes of mania? How do you screen for that? If anybody takes anything away from the red flag talk, or my talk today, it's so important to not see somebody who's in front of you with depression, with blinders on. We must always think about, did this person have a past episode of mania, because if they did, or even hypomania. If they did, it completely changes your treatment approach. If you see a patient in front of you and you do not screen about whether they've had a past episode of hypomania or past episode of mania, and you just give them a simple antidepressant medication, you can actually make their illness work if they really have an underlying bipolar disorder. Screening for mania can be a little bit of a challenge, the questions don't always flow naturally. These are kind of the screening questions that I use. I ask the patient, "Has there ever been a period of time where you felt like you did not need to sleep, or you had amazing energy for no clear reason?" And if the patient says, "Yes," then I say, "Tell me about that time," and I try and help them clarify what was the time period when this happened. How long did it last for? So let's say it happened like last summer. "Okay. Let's go back to last summer. During that time when you had amazing energy and you couldn't figure out why, you didn't need to sleep, what else was going on with you?" And then I begin to screen for other symptoms of a manic episode during that period of time. Another screening question could be, "Has there ever been a period of time in the past in which you felt elated, giddy, or really too intensely happy, for no clear reason?" Again, if they say, "Yes, I have experienced that," then I want to clarify, "How long did that last for? When did that happen?" Okay, let's go back to that period of time, and let's screen to see if there were any other symptoms of mania. This is one of the pitfalls that people can accidentally step into when they're screening for mania. They forget to clarify, did all of these symptoms cluster together during a specific period of time? Because if you ask any of us sort of symptoms of hypomania or mania, so many people will have experienced them individually at random times in their life. So you're really looking for that clustering of symptoms. Other things that you're going to want to screen for during that period of time when the person had an elevated mood or too much energy, you want to know, did they have grandiosity? Did they suddenly realize talents that they never thought that they had before? Or, did somebody else notice that they were acting differently, like were they making riskier decisions, were they talking nonstop, very difference to interrupt? Was there something different about their thought process, like did people find it really hard to follow their thoughts? What was their focus like during that time? What was their functioning like during that time? Did it affect their work, did it affect their school life, did it affect relationship? Were they trying to take on a million things at once, thinking that they were accomplishing everything but really they weren't being that effective in trying to reach all their goals. So those are some of the approaches that you might take for screening for mania. This can be complicated. As a family practice doc or in a non-psych specialty, it can be complicated to screen for this, especially when you have the clock ticking. And so this might be a time when it's useful to pull in a social worker to help you do additional screening, or pull in another resource to help you do additional screening. But just being aware that when I see a patient in front of me, I can't just focus on the depression that they're having right now. I must know if they've had an episode of mania or hypomania, because this completely will shift how I'm going to provide treatment to them. And in that instance if they did have mania, then you would not give them anti depression medication, is that correct? Correct. So if a patient is in front of me and they're in an episode of major depression, but now I've screened and I realize that they've had past episodes of being manic, I cannot pick just a generic run of the mill antidepressant to treat this person. I need something that has mood stabilizing properties, and so I need something specific for a bipolar depression. That I do think begins to step into a more complicated treatment plan, and that's when you may want to refer this person to your local mental health clinic or your local psychiatrist for further management. It's a little bit more complicated when it's a bipolar depression. Yeah. That's a very good point that we often forget. And what about psychosis, the fourth red flat that you mentioned? The fourth red flag with depression is psychotic symptoms. There are going to be times when you may observe your patient having some symptoms of psychosis, they seem distracted by something that they're looking at in the room that's clearly not there, or they're paranoid about people trying to harm them, that's the obvious time that you can notice psychosis. But a lot of times patients aren't going to tell you if they've had that experience of hearing voices or seeing things, and so it's really important to ask. This is where it's a challenge. I'm sure most people don't ask patients about psychotic symptoms every day. Practicing how you're going to ask the questions can really be helpful. Sometimes I will say, like an example question would be, "A lot of times when people are feeling depressed they can hear voices. Has this ever happened to you?" It can happen more often than you realize during a major depressive episode, and so sometimes just normalizing that for somebody. So again, "Sometimes when people feel depressed they can hear voices. Has that ever happened to you?" A lot of times patients will laugh nervously and will say, "I'm not crazy. No, that's never happened." Be very careful of your body language and your reaction to the patient. I never laugh with them if they're giving me like a nervous laugh, and that's because I want them to know it really can happen and it's serious and I'm here to help and I'm okay with hearing if you're having any kind of hallucinations. Another way that I might screen is just to say, "Have you ever had the experience of seeing things that other people can't see," and then giving them a pause so they know I'm not trying to rush through that question and I really do want to hear the answer. Or I might say, "Have you ever felt like people are trying to harm you, or people are after you when they're not?" And then again pausing and giving the person time to respond. If psychosis is present during an episode of depression, it really means that this depression episode is very severe, and I would make sure that the person gets a psychiatric evaluation, and it would be very important to pull your resources and assess for safety, and be very thoughtful about your next treatment approaches. Dr. Perez, let's now look at aspects of treatment. Do you have a systemized approach for treatment of depression in the primary care setting? Yes. I think the first thing once you've established that a patient is in an episode of major depression, it's important for you to assess for safety is the number one thing. So deciding, are the patient's symptoms severe enough to warrant inpatient hospitalization, which usually is not going to be the step that you have to take when you see patients with depression, but you do need to think of that first. Is the person safe for outpatient management, or is it going to be safer to have them on an inpatient unit or have them evaluated in the ER. The next question is, do they need a heightened level of outpatient treatment, such as a partial hospitalization program where they go during the day, they have extensive groups, they have medication management, but then they get to go back home and sleep at their own house at night? Is this patient somebody who's going to be best managed by a psychiatrist rather than a primary care physician? You're going to determine if that's needed, I think mostly based on the four red flags for depression that we talked about. If any of those are present, I probably would lean more toward having a psychiatrist follow up with that person. That was a great review. Thank you so much, Dr. Perez, for sharing your insights on diagnosis and treatment of depression. I think it was a very valuable review for the primary care physician and for any physicians, actually. Oh, thank you so much. It was absolutely a pleasure talking with you, and I really apprecriate it. You have been listening to ReachMD, the channel for medical professionals, and I am your host, Dr. Prathima Setty. If you missed any part of this discussion, please visit us at reachmd.com to download this podcast and others in this series. Thank you for listening. According to the Anxiety and Depression Society of America, major depressive disorder (MDD) is the leading cause of disability in the US for people ages 15-44. Primary care physicians see this problem every day, yet many struggle with recognizing warning signs, diagnosing, and treating the disorder. Joining host Dr. Prathima Setty to address this issue with key clinical considerations and approaches for patients with MDD is Dr. Gina Perez, former Director of Medical Student Education for the Department of Psychiatry and Assistant Dean of Student Affairs at the University of Maryland School of Medicine. Dr. Perez currently serves on the Behavioral Health faculty of the Mid-Hudson family practice residency program in New York.